From 27th to 30th November 2018 Fives attended Pollutec at Eurexpo Lyon, France. 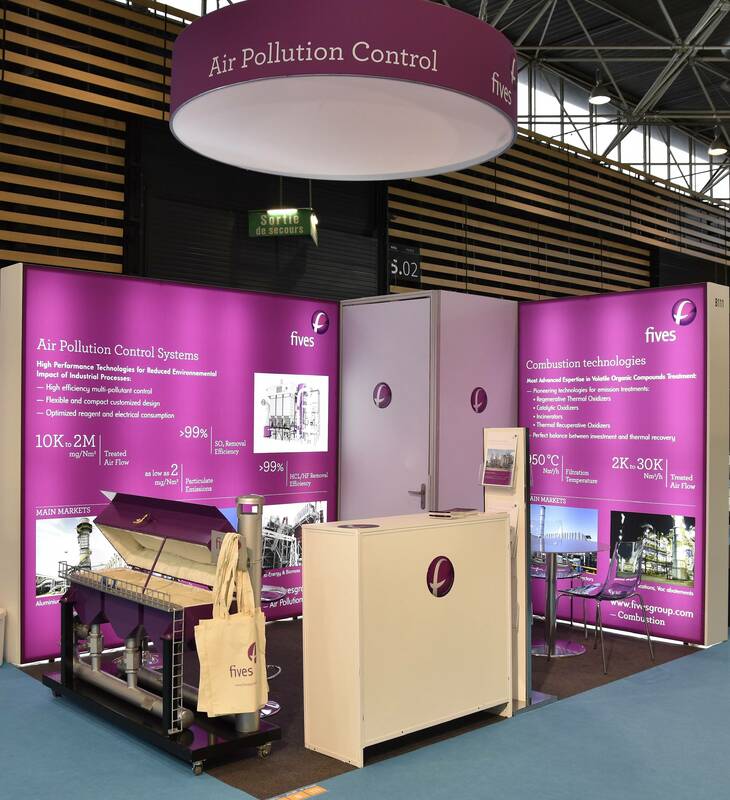 Pollutec is an international trade show that has established itself as a true showcase of all the equipment, technologies and services for the environment and energy. Fives Group has been represented with the Combustion and Cement business lines and their expert teams showing ITAS and SOLIOS innovative products. Our attendance was remarkably rewarded by the constant presence of many interested visitors. An ITAS RTO on scale was presented with the aim of showing the Fives consolidated technology by considering BACT equipment for abatement of printing and converting and many others industry emission. Furthermore, the team had the opportunity to explain about their capability to build ITAS thermal oxidizers and recuperative thermal oxidizers as well as their possibility to study tailor-made solutions for any VOC emission and to produce a series of ITAS burners for the most common industry applications.